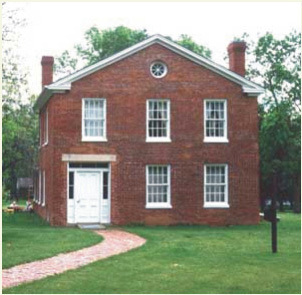 Listed on the National Register of Historic Places, Plum Grove was built in 1844 as the retirement home of Gov. Robert Lucas, the first territorial governor of Iowa and former governor of Ohio. It was later the home of Eleanor Hoyt Brainerd, a popular novelist in the early 20th century; Jacob C. Switzer, a Civil War veteran; and Richard Hughes, a local educator. The house was purchased by the state of Iowa and remodeled in the 1940s as a memorial to Gov. Lucas. It is open for tours during the summer months, tours and the grounds are administered by the Johnson County Historical Society. Archaeological excavations are undertaken each year under the direction of The University of Iowa Anthropology Department.